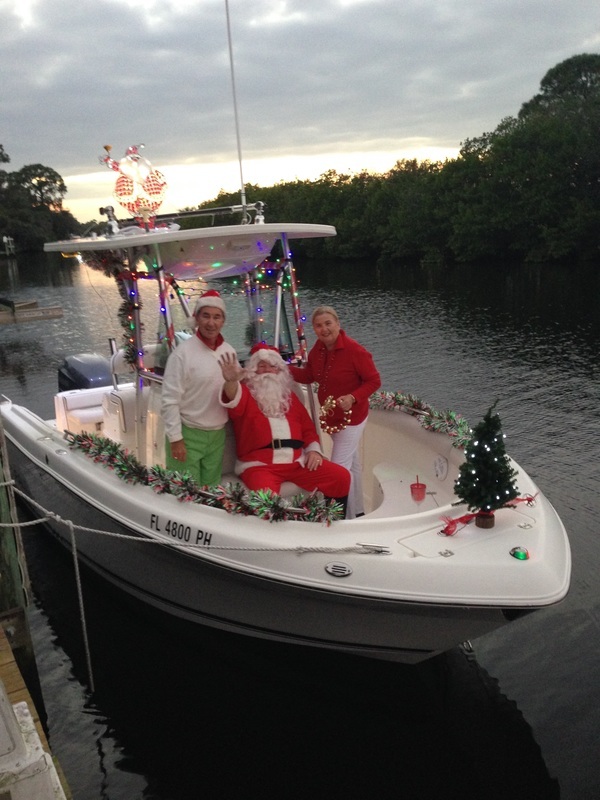 The Palm Cove Yacht Club is once again hosting a Santa on the Docks party for the young and not so young. When you RSVP please let us know how many children will be in your party. Santa on the Docks will be held on Sunday, December 18, 2016 on our docks (weather permitting) starting at 4:00 PM. This event will replace our monthly happy hour. Please bring an appetizer or a dessert to share. Kielbasa and Hot Dogs will be provided by the PCYC along with wine, beer, soda and water. Santa may provide a surprise cocktail for those who care to indulge and gifts for the children. Please feel free to wear your wildest and craziest Christmas attire for Santa. Please RSVP to Janis Swenson at mercury1213@aol.com or 772 872-6204 by December 12th. Naughty or nice be there!